The Hopkins SciOly Team gathers for a team photo at Colorado State University. 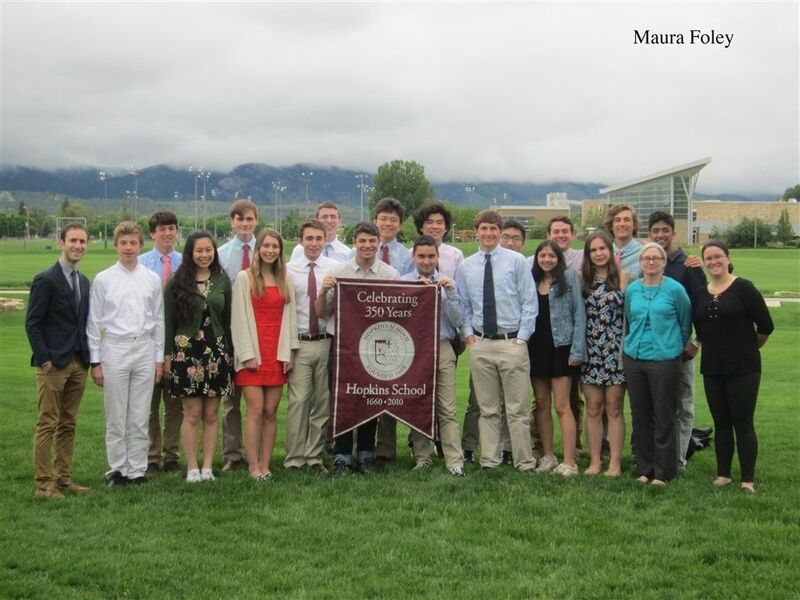 On the weekend of May 18, the Hopkins Science Olympiad Team travelled to Colorado State University to compete against sixty schools from around the country at the National Science Olympiad Tournament. This marks the ninth year the Hopkins team has qualifed for Nationals since the program began in 2009. With an impressive record of winning the state competition nine out of ten years, Hopkins “SciOly” members have continuously shown their dedication and ability to engage in the felds of Science and Engineering. Both Gold and Encarnação emphasized the “strength, motivation, and excitement of the students” that feed the team’s ability to achieve success in projects and events. Gold considered what made the team capable to compete at a national level year after year attributing the team’s success to the “wealth of the experience that we have and older team members helping newer team members.” Encarnação discussed how the “carry over from the previous team” plays a large role in ingraining the hard work mentality. “There is always a previous group of kids that have gone to Nationals and wants to go back, and that’s the biggest motivator,” she explained. With around six seniors leaving every year, nine members of the national competition team are left to carry over the science spirit onto the incoming kids.